It’s been a long time since I’ve made a pattern from a Japanese Pattern Book. 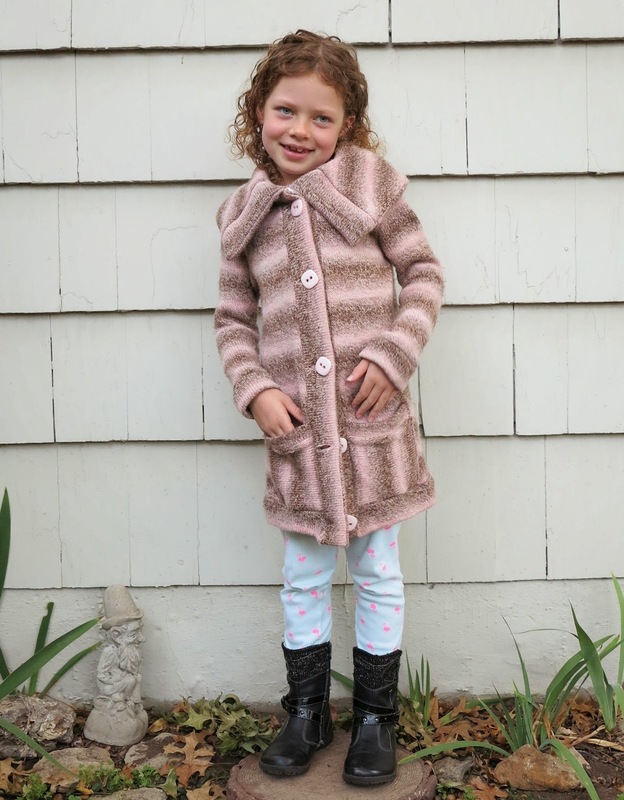 I used to love using Japanese patterns many years ago, especially when my girls were tiny. I made this top using the cover photo of this book. It doesn’t have an English title but I can give you ISBN978-4-579-11649-2. I made my top up in the largest size available in the book. My chest measurement is 37 inches. I figured, since I couldn’t make heads or tails of any measurements chart, I couldn’t do too badly by choosing the largest size. This top is supposed to be roomy and oversized. It’s hard to say if mine is a little “extra” through the body in this respect. I feel like the shoulders fit where they should. The design is pretty simple. It’s a raglan style with wide sleeves and a gathered neckline. I was drawn to this top because of the pretty collar. The neckline incorporates a drawstring to gather the neck area. It can be gathered as loose or tight as you wish. The bow can also be sewn so that it is tied at the back if preferred. The style of this top works beautifully in linen. I feel like all of the patterns in this book would suit linen. My linen is from The Fabric Store. 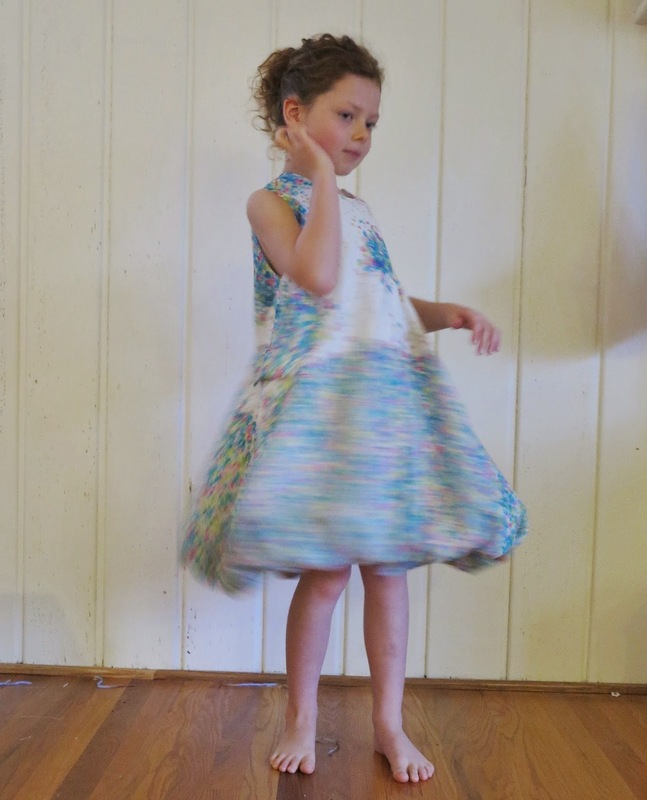 I used a pinstriped green linen for the bulk of the top and topped up the sleeves with a little duck egg blue. The stripes I used aren’t available online anymore, but I think this option would be also amazing. I know it isn’t really the right season to be making a top like this, but I still love it. It’s the kind of top I can see myself wearing every day in Summer. This entry was posted in Japanese pattern books, linen, patterns, stripes, The Fabric Store, top and tagged by hand, diy, fashion, japanese pattern, linen, maker, pattern, Review, sew, sewing, stripes, Summer, The Fabric Store, top on January 11, 2019 by Debbie Iles. 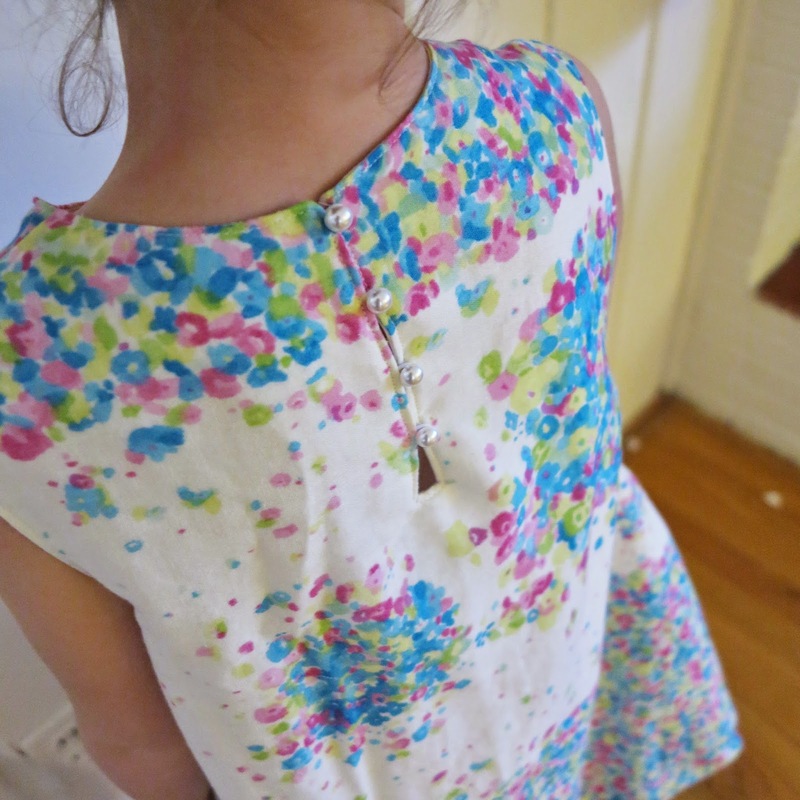 So this little dress was actually intended as a birthday dress for Miss nearly-Five. 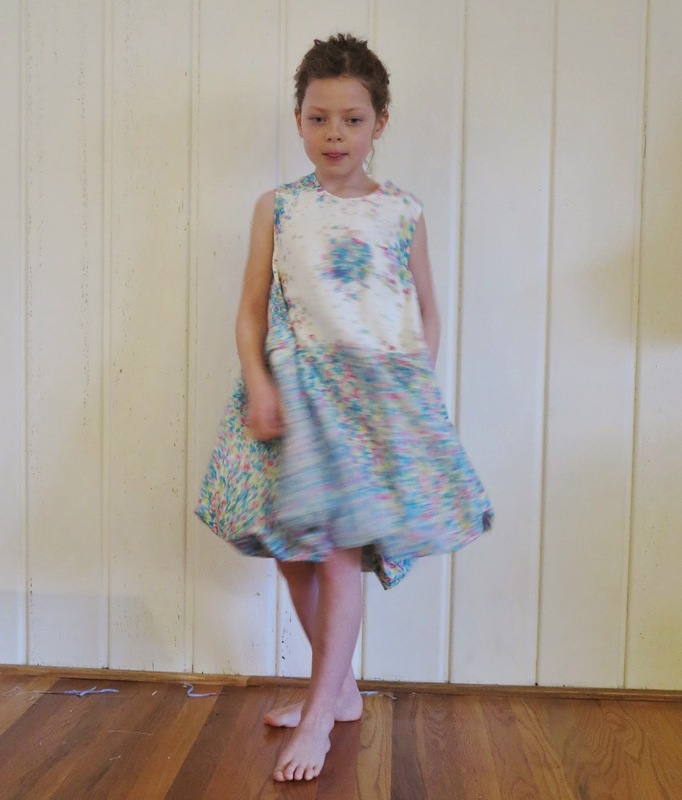 Miss Six-and-a half is wearing it in the photos. 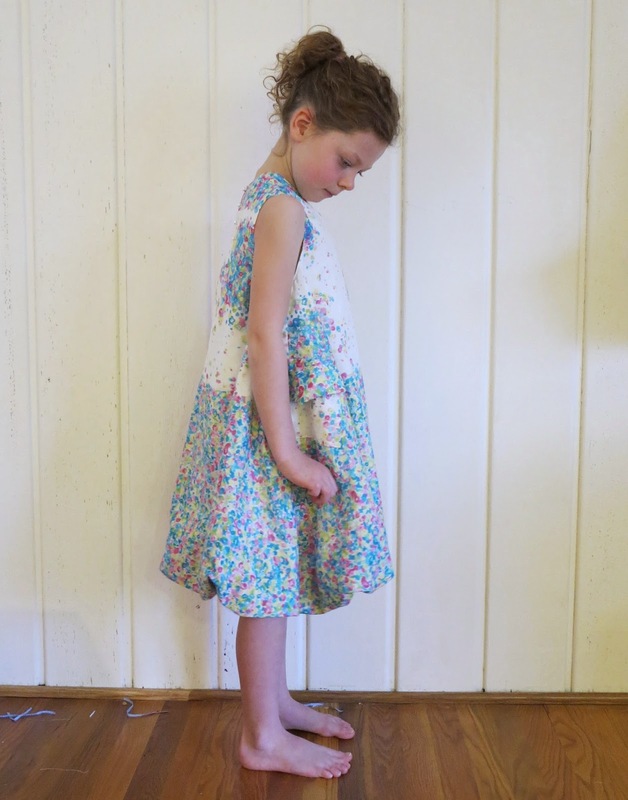 The fabric is a Nani Iro border print in double gauze cotton, which is beautifully soft and pretty. It is also fully lined in a combination of silk habutai and silk jersey (scraps from my previous projects). 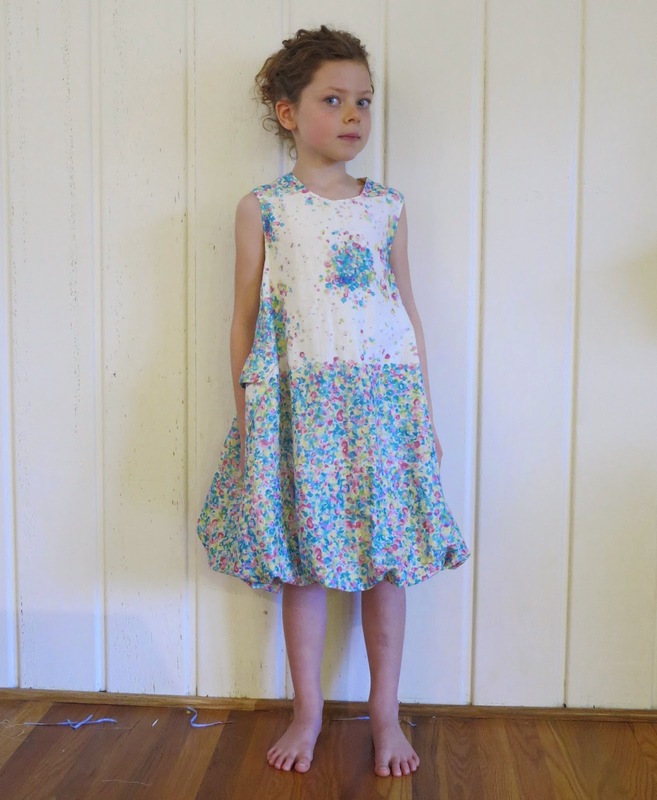 The combination of fabrics make this the most deliciously cool and swishy Summer frock. Try to ignore the sewing threads and cuttings on the floor behind the pretty cherub. 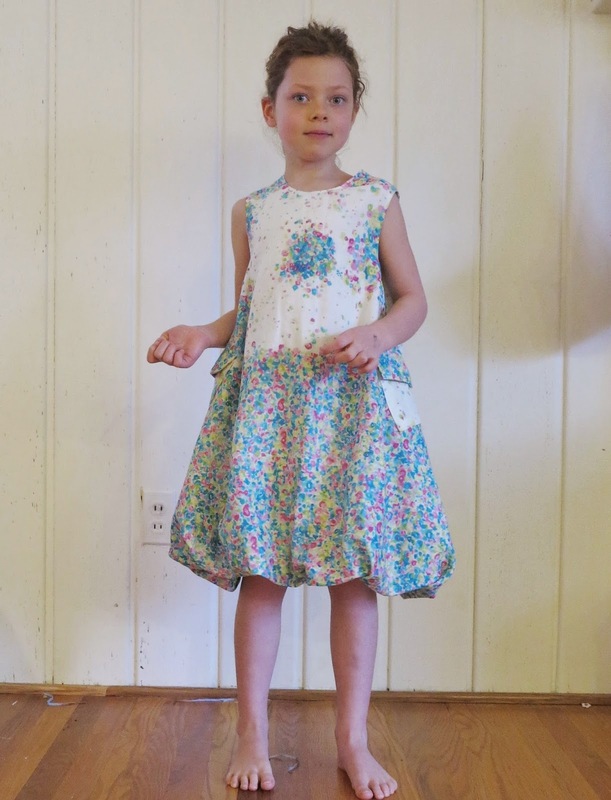 I used a pattern from one of my Japanese pattern books. 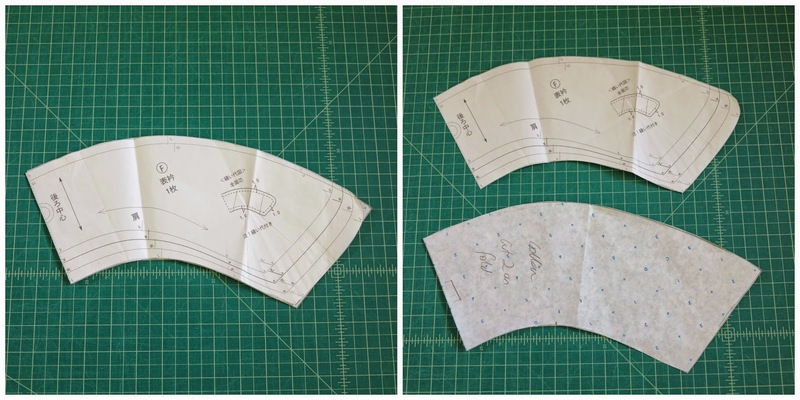 I adore my Japanese pattern books but I do find it tricky to get the sizing right at times. 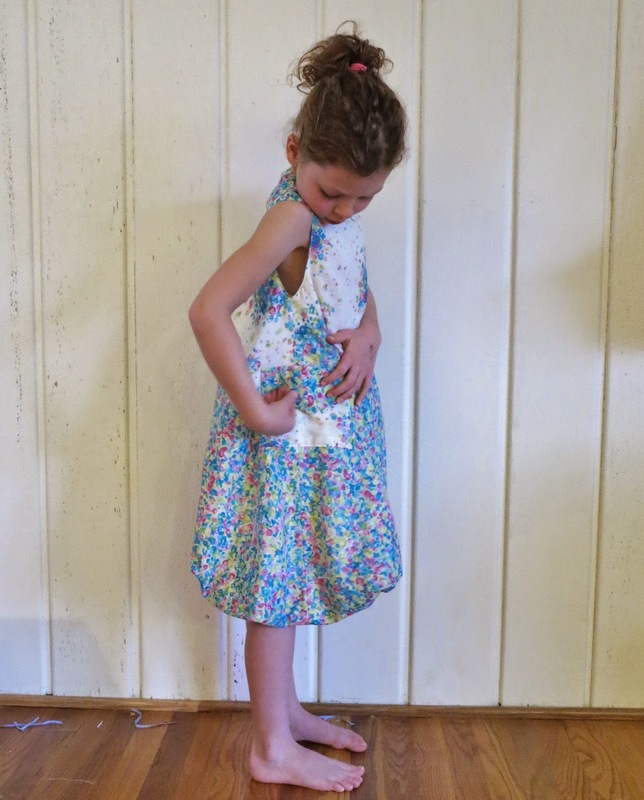 Sizing is by height of the child, as far as I can understand.This works reasonably well most of the time, but sometimes I miss the target in trying to negotiate for my very tall girls. I got it wrong this time. I knew the dress would be big, but not quite so swimmingly big that it is. 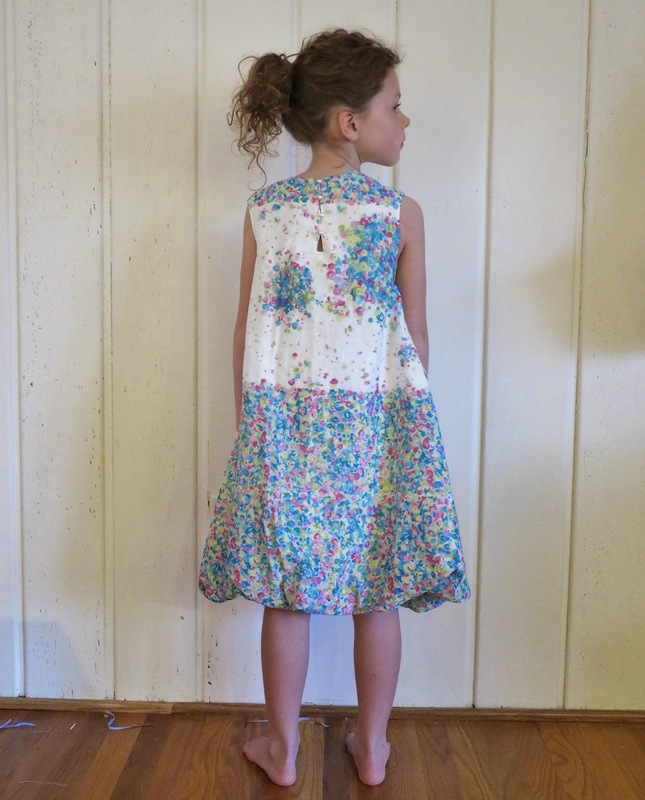 This entry was posted in cotton, dress, Japanese pattern books, Nani Iro on December 9, 2014 by Debbie Iles. I saw this amazing double faced wool when it first showed up at Tessuti Fabrics, probably at the end of last year. 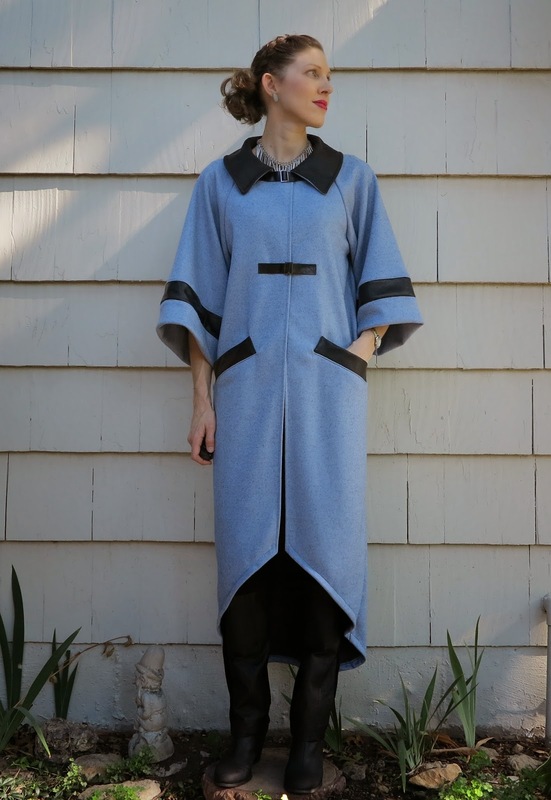 It is pale blue on one side and charcoal on the other, and the perfect weight for making a snuggly winter jacket. 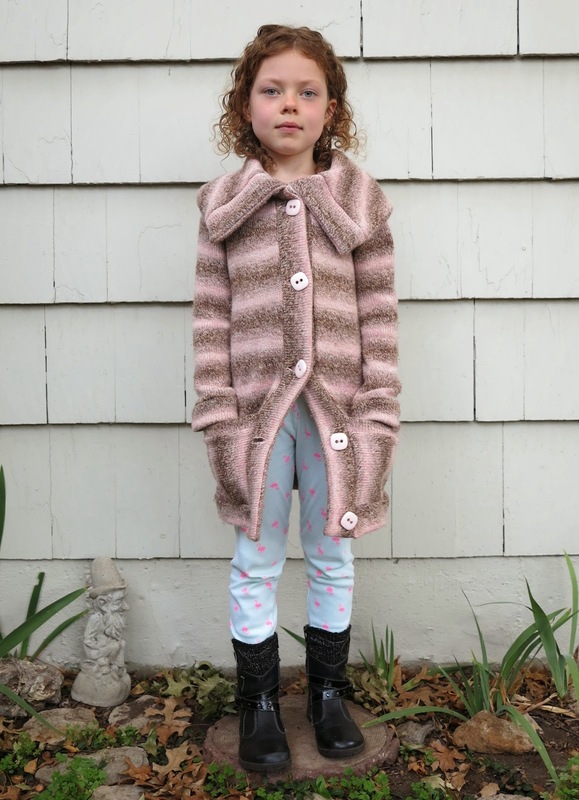 Unfortunately, I wasn’t in the market for winter gear back then, so I had to walk away empty handed. But a few months ago I was lucky enough to recieve a gift card from my Mum (best gift ever!) and I spent it happily on this beautiful wool. 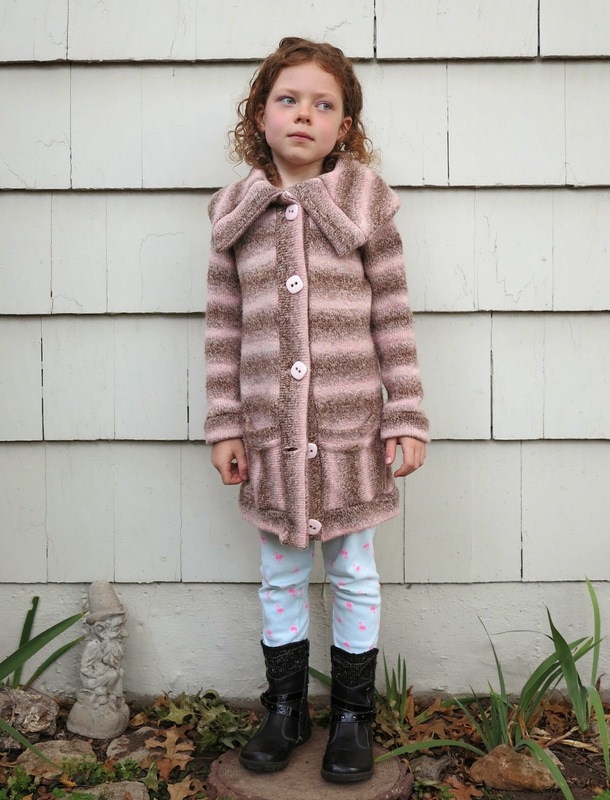 I made the coat using a Japanese pattern that I’ve used before (in my pre-blogging days). I purchased it, and all the other Japanese pattern books I own, from a very reliable Ebay seller, Pomadour24. I cut a size L and made several modifications. 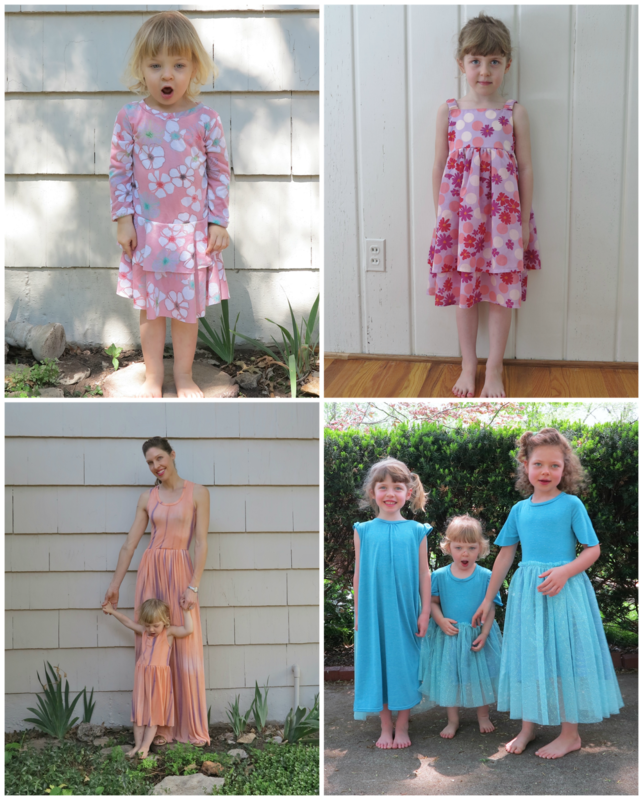 In the photos below, I’ve placed the original pattern pieces on top of my re-drafted pieces to better explain my changes. I widened the sleeves a LOT. To do this, I slashed through the centre and created a wedge. I also shortened the sleeves so I could add cuffs, yet still achieve a shorter length. I added cuffs with leather inserts. The leather I used in this coat was leftover from my leather shorts and leggings. Because I was working with scraps, I had to be creative with how I used it. 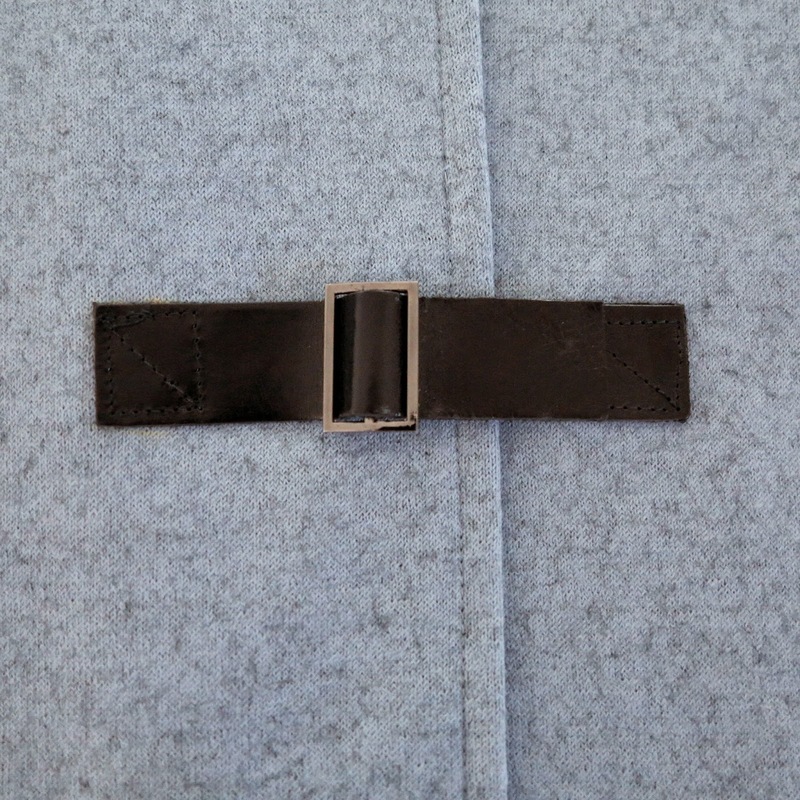 The total length of my cuffs (including the leather insert) is 3.375″. 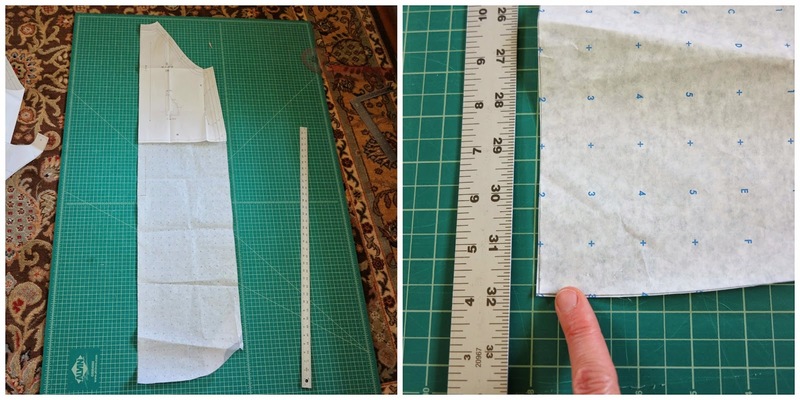 The cuffs are folded over before attaching, minus a 5/8″ seam allowance. 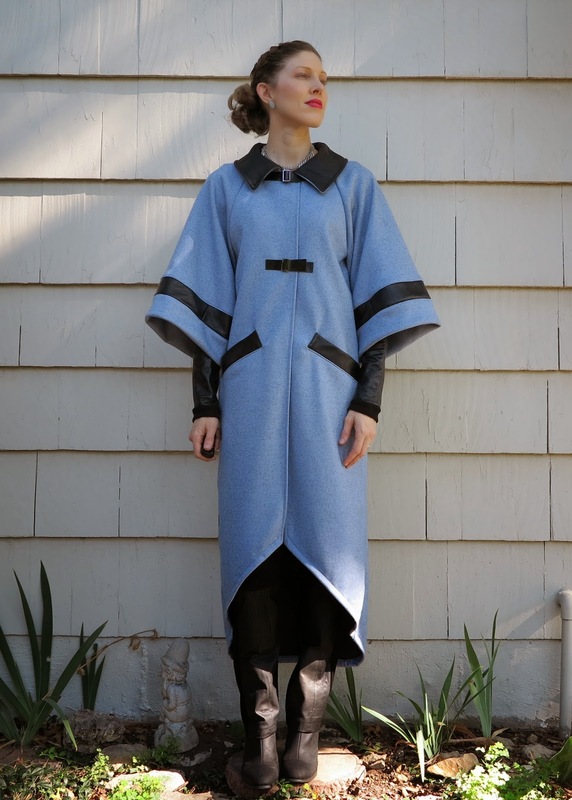 The coat is a raglan cut. 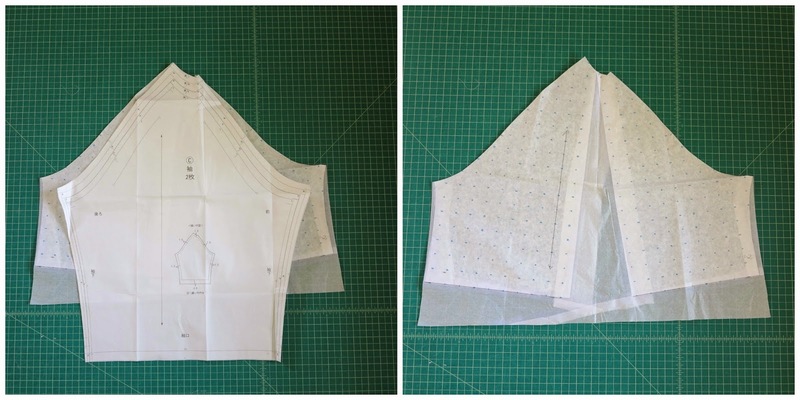 I lengthened the front piece by 28″ on the side seam and by about 16″ on the front. I should have extended the facing a little longer at the edge since this folds over. I need to adjust the pattern for this next time. I lengthened the back by 32″. 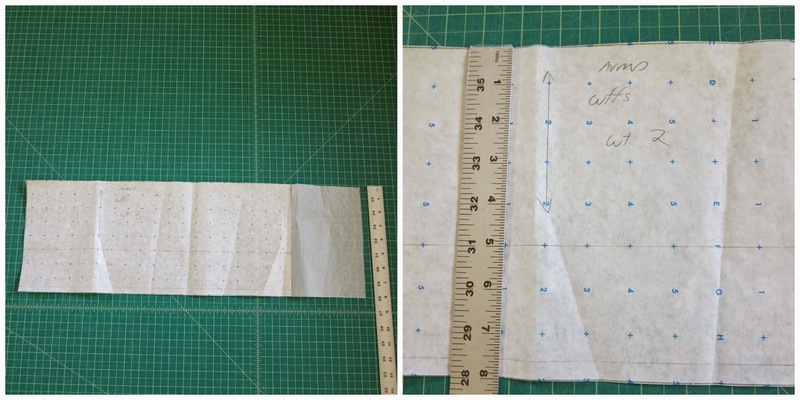 The photos show how I changed the hem shape. I sharpened the corners of the collar. This is a very subtle change to the original pattern but it actually impacts the look quite significantly. Notice the very comprehensive details I write on my own pattern pieces (I jest!). I really need to work on this! I ditched the original pockets. They were actually quite useless in the first version. They looked good but they were placed too high on the side seams, making it awkward and fiddly to use them in real life. I drafted my own welt pockets and stuck them on the diagonal, using leftover leather as a contrast. I also ditched the buttons and used some little leather fasteners instead. I’m pretty sure I’m going to love this jacket. It is super comfortable. It’s not too heavy and it looks fab with my leather blocked leggings. I can also pair my leather armbands (blogged here) with it if I don’t fancy wearing a long sleeved top on cold days. 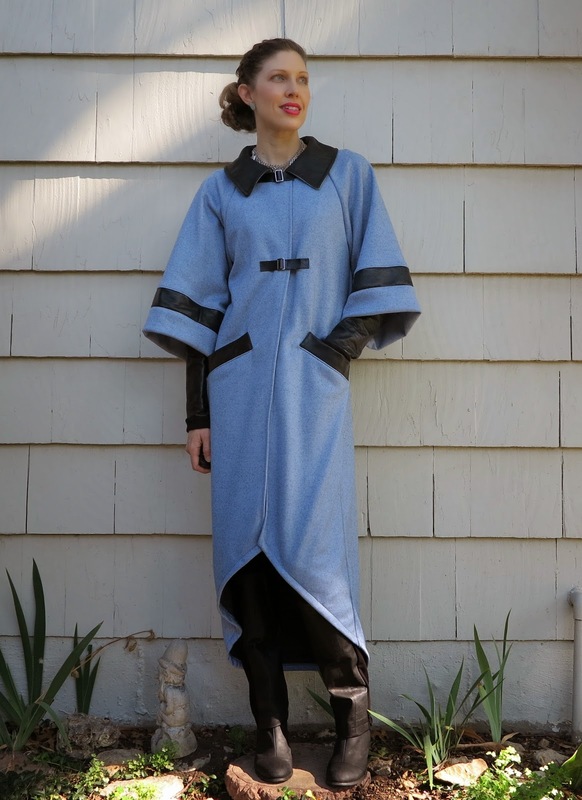 This entry was posted in Japanese pattern books, leather, ponte, Tessuti Fabrics, wool on September 7, 2014 by Debbie Iles.